As city populations grow and urban sprawl proliferates, issues with economic and social progress are often Increased. These challenges not only affect people’s quality of life, but also put added stress on traditional infrastructure, increasing the need for energy-efficiency austerity and resource conservation. Smart city technology can provide city governments with a large infrastructure buffer that helps them endure and overcome these issues in the future. 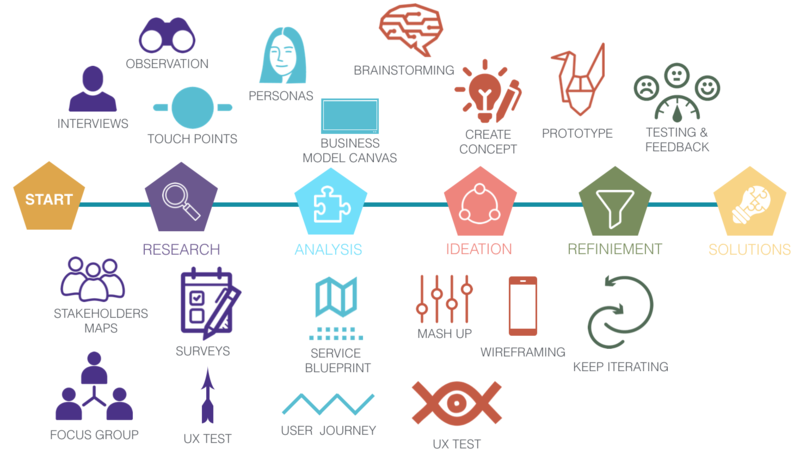 Service Design & Ux (user experience) for the social and cultural service Info Smart City. ﻿The scope was to design strategies aimed at optimizing and innovating public services in order to improve the quality of life and meet the needs of citizens, businesses and institutions. The scope was to design strategies aimed at optimizing and innovating public services in order to improve the quality of life and meet the needs of citizens, businesses and institutions. A range strategies for smart city development are analyzed, prototyped, tested and developed. 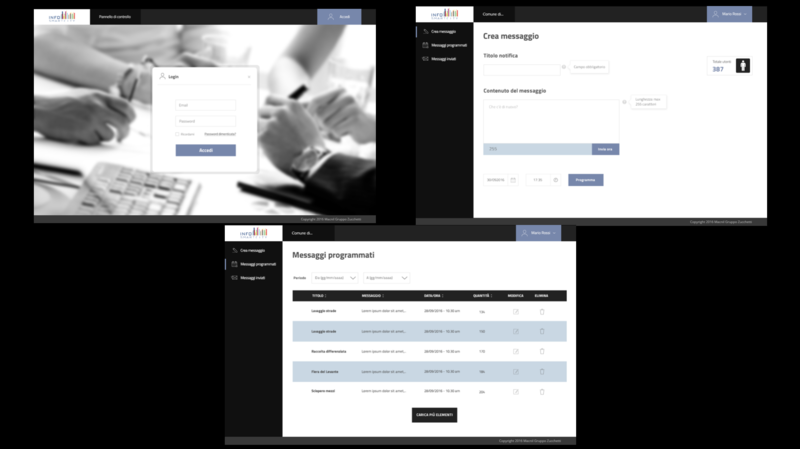 To better design the service for several months we collaborated with people and stakeholders across Italy to research, design and prototype. Concentrating on people's needs to ensure better multi-channel experiences. A range strategies for smart city development are analyzed, prototyped, tested and developed. 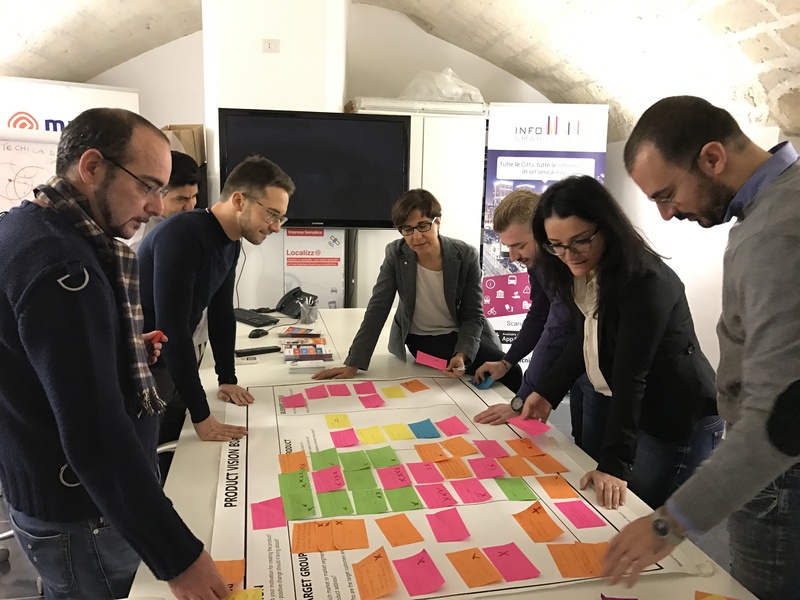 To better design the service for several months we collaborated with people and stakeholders across Italy to research, design and prototype. We concentrated on people's needs to ensure better multi-channel experiences. We engaged with communities and service providers across the city to try to understand which problems do people face on a daily basis in the city. We set about to answer several questions using ethnography and human centered approach. I ran design workshop to explore the future of the city and to co-create new service models. 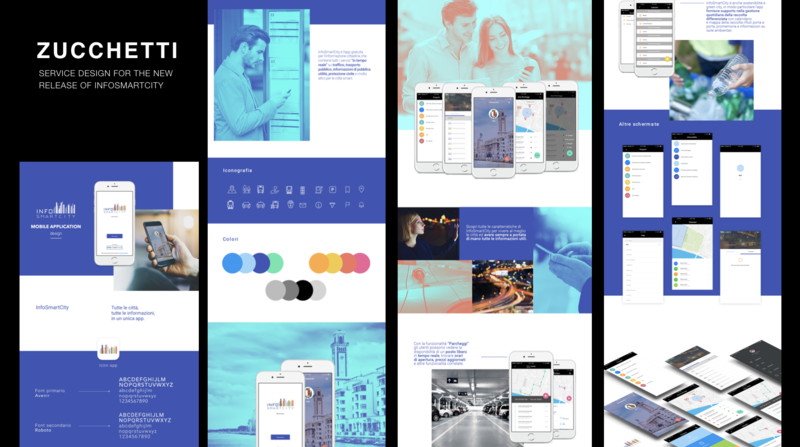 As part of the project, we designed an app and a digital platform. The app turns the city into a smart city and allows the public administration to communicate in real time with citizens.